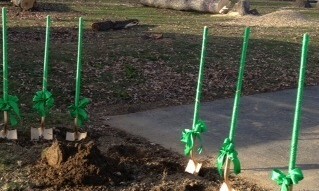 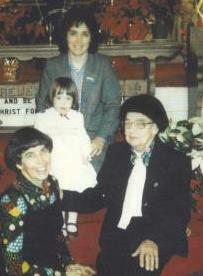 Each shovel featured a bright green bow. 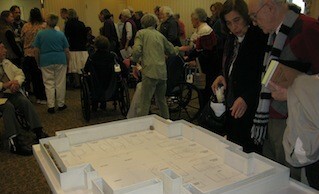 My parents check out the Green House model. 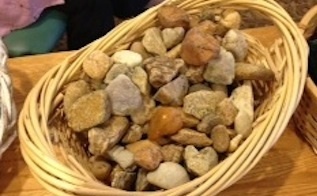 Each participant took a stone to help build a model foundation. 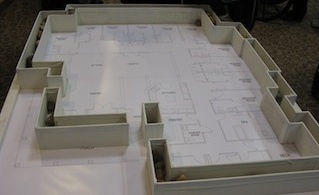 A birds-eye view of the Green House model.